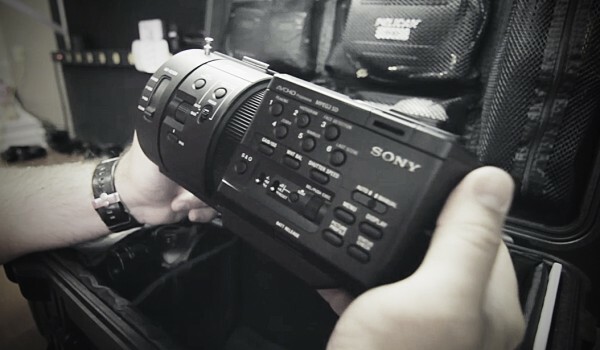 In this video I talk about my new Sony FS700 video camera. People have asked me why I went from HDSLRs to the new FS700 and I explain my reasons while also showing the gear I have in my kit. Also, here’s our first obligatory test of the FS700’s slow motion capabilities. It’s still a 24mbps AVCHD camera with 4:2:0 colour space. Very disappointing at that price range. Add the external recorder and media you need to get something broadcast-ready and you come close to the c300, which has native 4:2:2. The codec that Sony uses is amazing. Unless you’ve shot and edited with it, you can’t know how well it holds up. The combination of a robust AVCHD codec combined with small file sizes makes it the perfect camera for people like myself. Very informative. Your experience and decision-making echo mine. Where did you get the Metabones adapter? Yeah I love how people make a judgement on something they haven’t used. Great review! Do you think the FS700 fits in the pelicase with lens, handle and additional EVF atached? The EVF attached probably wouldn’t fit, but you can leave the handle and lens on. You would just need to change the dividers around a bit. Great kit! Are the Canon lenses good enough for low light? Do you use any other lenses below 2.8? If so, what would you recommend? Thanks!